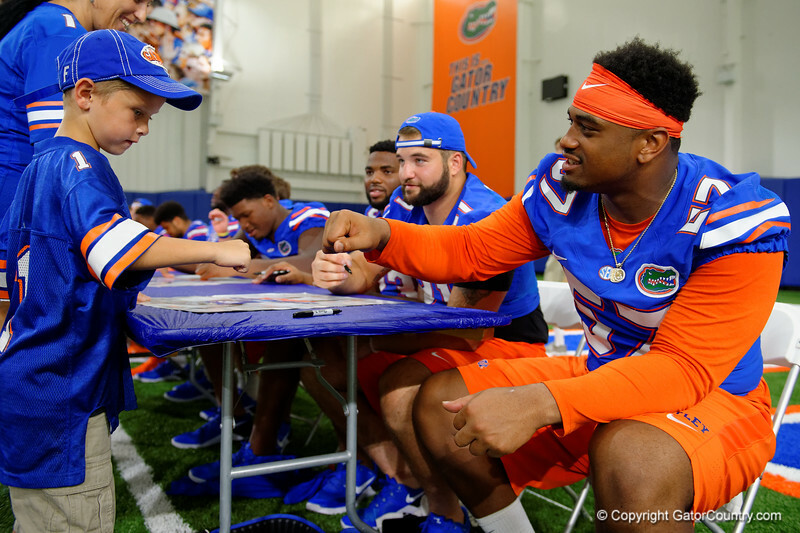 Florida Gators defensive lineman Caleb Brantley gives a young fan a fist pump as the Florida football team hosts its annual fan day in the Indoor Practice Facility. August 20th, 2016. Gator Country photo by David Bowie.